In 1995 Embree Elevator signed a contract to affiliate its field employees with the International Union of Elevator Constructors (IUEC). 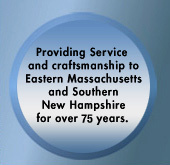 This affiliation has permitted Embree Elevator access to the Boston labor market of over 800 highly skilled elevator professionals trained in the installation, maintenance and repair of elevator systems from basic freight elevators to fully automatic microprocessor systems considered todays state of the art. Training and education programs provided thru the Union’s National Elevator Industry Educational Program (NEIEP) are designed to produce highly skilled field professionals. Programs offered range from basic safety to advanced circuit tracing, relay logic to microprocessor troubleshooting. OSHA 10 training has also been completed by members through this program. The Union, through its thousands of members nationally, provides substantial health, dental, pension and annuity benefits. These benefits permit our employees to enjoy a healthy standard of living and excellent prospects for their retirement years.